The survey, which looked at over 1,000 employed adults in the U.S., found that 34% feel the greatest sense of belonging at work. While this is behind home (62%), it was significantly more than physical neighborhood (19%) and place of worship (17%). Convene is a fantastic company that understands what really brings people together and their blog outlines the survey in further detail. 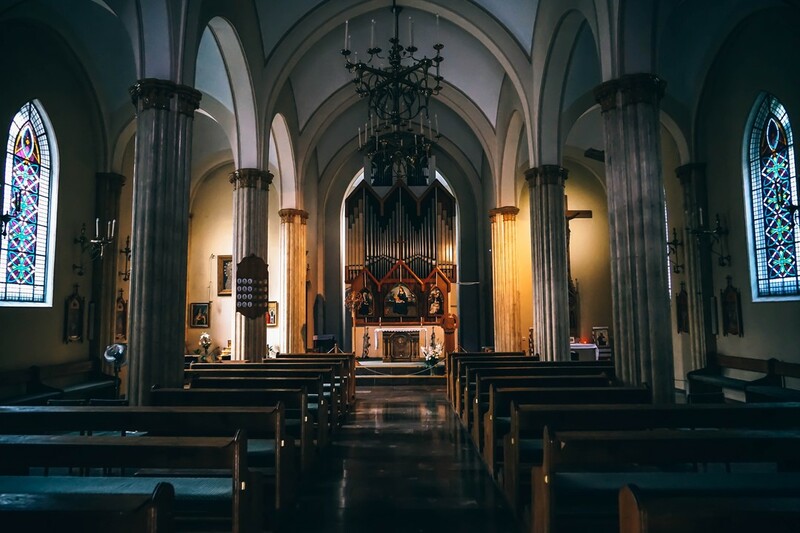 The fact that people now look to their place of work to give them the sense of belonging once filled by their neighborhoods and places of worship is not just interesting but a monumental paradigm shift. The implications of this for leaders and companies is absolutely massive and failure to appreciate this change will be disastrous. Previously, employees had their essential needs for belonging "fed" to them from these other sources so if their workplace wasn't great they were far more resilient but now workplace expectations are that the employer will be the one to do the feeding. Building a sense of community engagement is ESSENTIAL to success. The most innovative companies in the world moving forward will know how to foster community and feed their people through a strong sense of belonging. How powerful is belonging? Dr. Abraham Maslow, a pioneering social psychologist ranked "love and belonging" as third in his Hierarchy of Needs right behind having our physical needs met and knowing we are safe. Love and belonging directly impact a person's self esteem and ultimately impact the ability for the individual to realize their full potential. Every organization has a vested interest in helping their workforce realize their full potential but typically it was understood this duty did not belong with a corporation but with family, neighborhoods and places of worship. Whether leaders like it or not, and whether this responsibility should or should not belong with corporations is no longer the argument. The reality is that for whatever reason people have made a shift and burying one's head in the sand is no longer an option. In fact, managers need to fill HR with a special kind of hybrid: people who are part pastor (hearing all sins and complaints without recrimination) and part parent (loving and nurturing, but giving it to you straight when you’re off track). But pastor-parents don’t just sit around making people feel warm and fuzzy. They improve the company by overseeing a rigorous appraisal-and-evaluation system that lets every person know where he or she stands, and they monitor that system with the same intensity as a Sarbanes-Oxley compliance officer. Never before has the need to build a sense of community within your organization been more critical. When we bring the IHUBApp (our private community engagement platform) into organizations we often start with technology and end up coaching on how to utilize our platform to foster belonging. A neighborhood and place of worship both have physical boundaries but how people connect within those walls can make a difference. While not everyone may have direct experience with attending a place of worship we all universally live in neighborhoods. We all know and understand that it is entirely possible to live in a neighborhood day in and day out without ever connecting with those who live around you. It's also possible to attend a place of worship and never really get to know anyone in a deep way who may be sitting around you. The workplace has a nuance difference in the fact that workers must engage to get their work done. Of course, just like any group where humans gather - engagement can either be inspiring or entirely demoralizing depending on the organization. As we teach our clients, there is no process, training, or technology that will solve a toxic people problem. Plenty of people have experienced new processes and have been forced into training or technologies that never altered the workplace for the better. That said, technology can create an impediment to even healthy workplaces when it is overly-complicated and difficult to use. They can also create an incredible amount of noise for your workplace if they aren’t helping to get everyone on the same page. We took that into careful consideration when we were building out the IHUBApp solution for organizations. If you're looking to better engage your people we would love to show you how the IHUBApp and our implementation approach is revolutionizing engagement for others and will help you take your engagement to the next level.